If you are writing a book, you know who your Protagonist is – the person whose story you are telling – The Hero. In my case this is Byrhtnoth. He is searching for something – a sword. Some characters help him (friends), others oppose (enemies). Others are padding – sorry – there to help the story along. But where is the Antagonist? The Moriarty to my Holmes? The Voldemort to my Harry Potter? 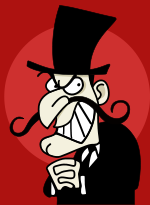 I thought I knew who my Antagonist was, but I have been mislead. I can’t continue with my original plan, due to history. He is a real person, he cannot die before his time, I cannot kill him off at my convenience. The real antagonist was there in the shadows, hiding until the time was right. He was there in book one, but disappeared. He returns in book two, briefly and does something nasty. I planned to have him killed in book three, in a particularly horrible way, but have given him a reprieve. He is just too bad to throw away! I nearly missed it. He is so slippery that I didn’t notice that I got his name wrong in the first draft of book two, but now I recognise him. When I started writing I picked names at random, his was one of them, but now I see how right it is. It has even given me the title for book three. Not that I am going to give away that information yet – things may still change. I must use him carefully. Like salt in food, a small amount enhances the dish, too much spoils it. I must get to know him, why is he so nasty? Is he completely bad or does he have some redeeming features? Is he kind to kittens? Is he capable of change? Because without change he is a pantomime villain. Just as a hero is boring without his flaws, he must have a good side. I find the best way to find out about my characters is to just write. I have written a scene. It is from somewhere in the middle of book three, protagonist and antagonist together. Already I have discovered something about the relationship. I look forward to working with him. Of course I say “Him”, for convenience. He might be a she! So, eventually, I have started book three. Setting a target to write 1,000 words a day or 7,000 a week worked before. I didn’t always hit it, but explaining why not, forced me to write some creative blog posts. 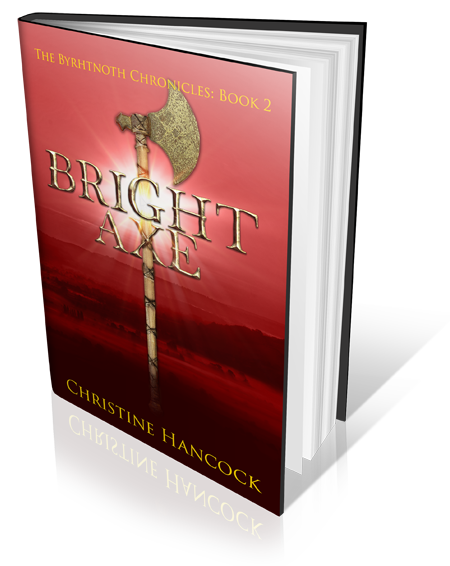 Bright Sword is published on 28th January – that’s ten weeks away. 10 times 7,000 is 70,000 – that’s the best part of a book!